** SPOILER ALERT ** This is a book about deception. There’s so much deception that even the mirrors are dishonest. It begins as an escape. In the 1950s, a girl from Manhattan named Boy gets on a train and goes as far as she can to get away from an abusive father whose job and nickname are the same, The Ratcatcher. But in spite of the miserable life she’s running from, Boy is witty, smart, self-possessed, attractive and relatively well adjusted. She ends up in a little town in Massachusetts, an artist colony of sorts, where she stays at a boarding house, makes friends, finds a job, meets a guy and feels amazingly conflicted about Charlie, the boy she left behind in New York. Still, she gets married. Her new husband, Arturo Whitman, already has a daughter by an angelic wife who died soon after childbirth. Mom was a singer who left behind recordings of her gorgeous voice for the child she would never know. The girl is named Snow, and she’s enigmatic, beautiful, doted on by her oh-so-proper grandparents and everyone else around. Boy has a baby girl. At Snow’s suggestion, she names the little girl Bird. Bird is black. So is Arturo, so are his parents, so is Snow. It’s just that they don’t appear to be. But Bird does. So, apparently, does Arturo’s sister who was sent away so as not to complicate the family efforts to pass for white. The sister calls Boy, suggesting that when being the mother of a black child becomes too much for her, she can send Bird to live with her (the sister) and she will raise Bird, no shame, no questions asked. Arturo’s sister is asking Boy to give up the child she’s given birth too. 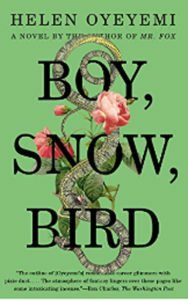 Instead, Boy sends Snow away, and for a long time, Boy starts to seem more and more like the wicked queen in Snow White. Even Bird, (at the age of 13 when she becomes the narrator and starts telling her part of the story) can’t wholly deny it. This is a book about deception. Forget about “Mirror, mirror on the wall.” The mirrors can’t be trusted. Yet, in spite of it, way down deep the characters have a strong streak of honesty even as they lie to each other and to themselves. You have to read between the lines to find it most of the time. But it’s worth it. So much of the dialogue is brilliantly creative. 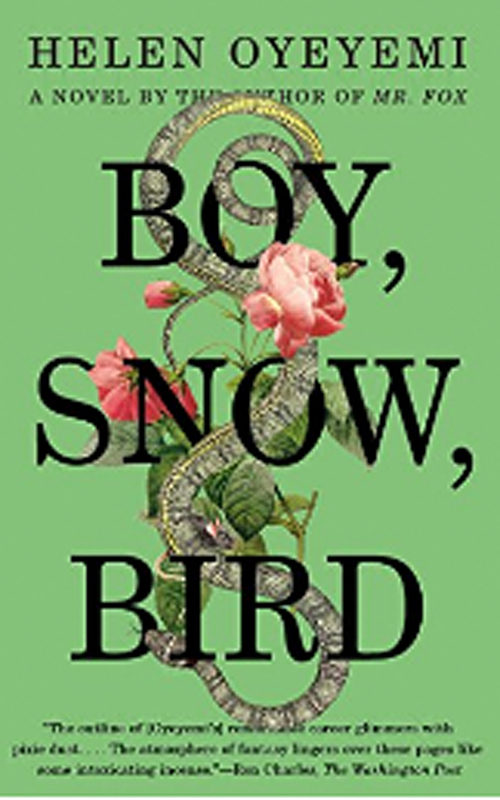 Boy, Snow, and Bird are so damn clever, so forthright, so questioning of everything, that if you just dig you’ll find them to be good, intelligent, honest, generous women. Unfortunately, you’ll be digging through a lot of mundane day-to-day gossip and detail. Things get a little slow as the characters give us “life’s business” to sort through. But so what? It is very much worth the effort to get to know and spend time with these people, to learn the lessons that they learn, to appreciate their cleverness and frankly, to experience the exceptional writing of the author. But then there’s the ending of the book. I started trying to predict what it would be midway through the novel. And, Boy (sorry), did I get it wrong. I never could have foreseen the actual outcome… ever. At first, I was thrilled that the author had worked out a way for Boy to cast off the Evil Queen role and work for the good of her family. But the more I thought about it, the more it seemed so implausible, so unnatural for the characters involved. Of course, as the novel ends the story is far from resolved… so much more has to happen. So it’s left to the readers to decide if we want to go with these new twists of the story or envision our own. The book is after all, about deception, so why not more.